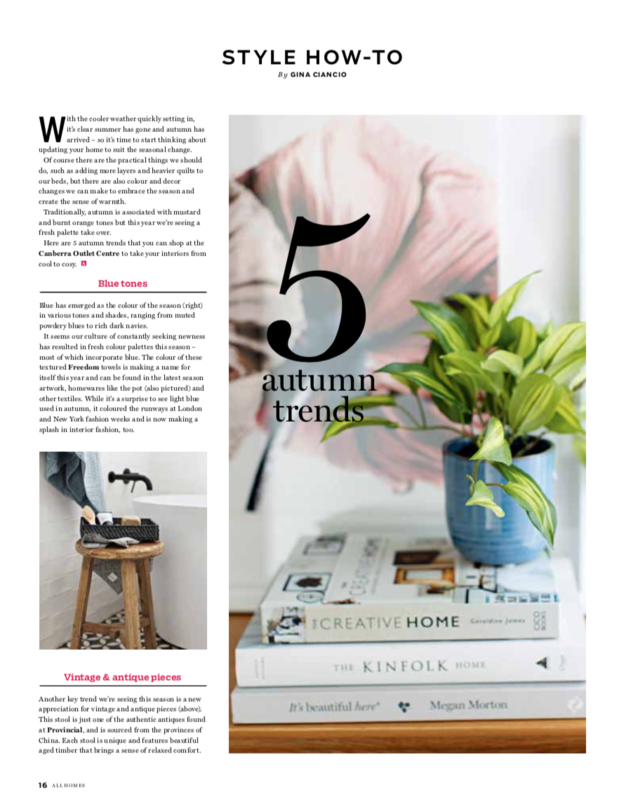 I am so grateful to have my styling and DIY projects featured on TV, in leading magazines, sites and other media, particularly the projects where I’ve collaborated with other amazing people or brands who make what I do possible. I won’t lie, my first live TV appearance was a little daunting but the ladies at Sky News Real Estate are so friendly, it was like chatting with friends. 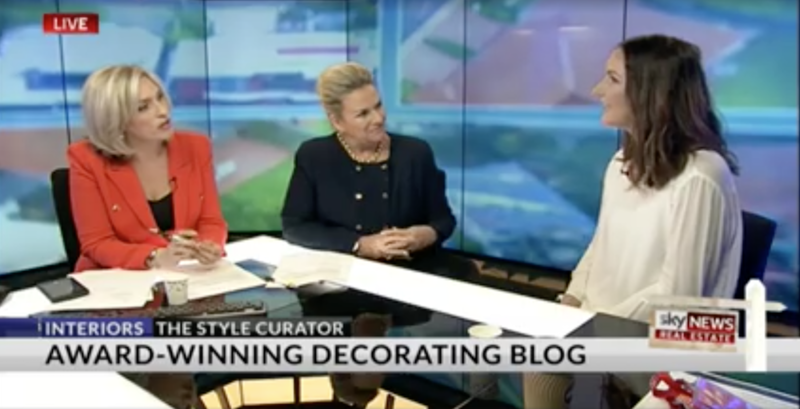 I enjoyed the opportunity to promote the emerging art and design scene in Canberra, and discuss design ideas you can take from commercial spaces into your own home. 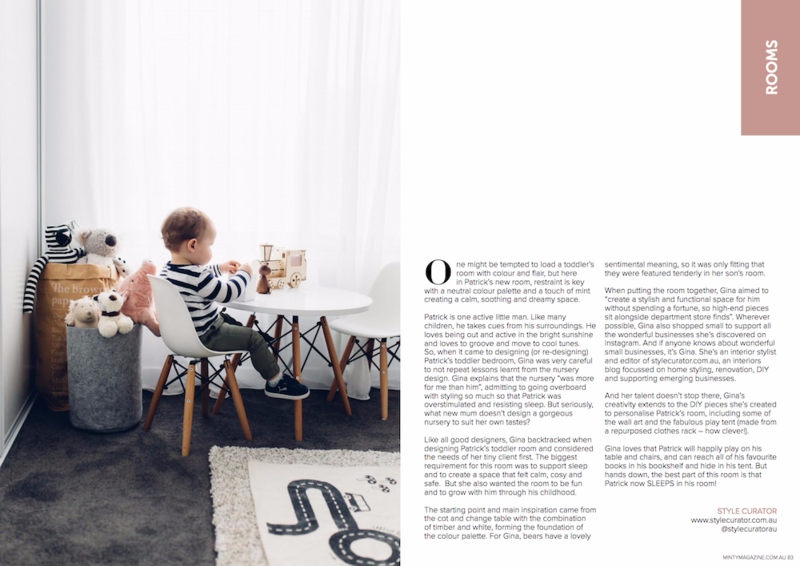 It was such a thrill to have Patrick’s nursery feature in my favourite magazine for nursery and children’s inspiration, Minty Magazine — and a four-page spread no less! 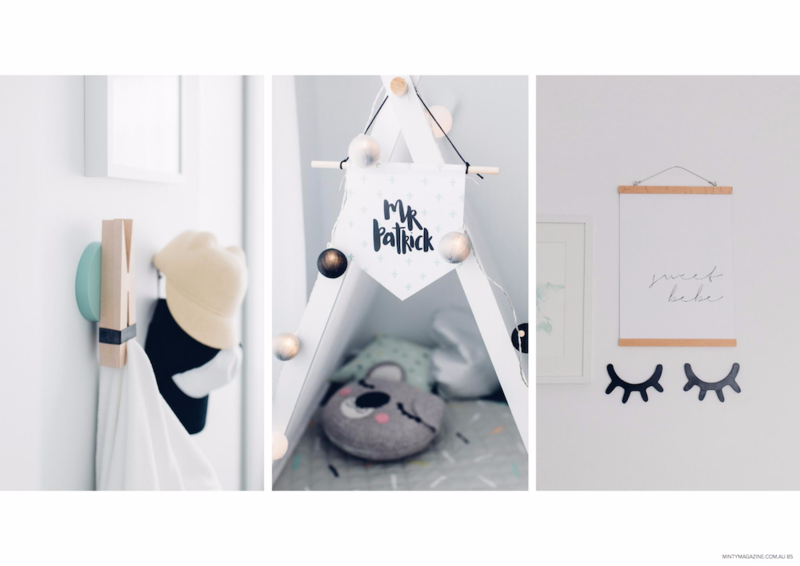 This space features many of my unique DIYs, such as the play tent, and a mix of handmade pieces by local creatives, affordable finds from mainstream stores, and some designer pieces too, which nicely sums up my approach to styling. 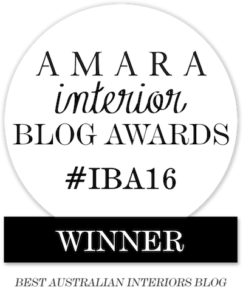 When one of the biggest lifestyle and interior sites in the world asks to share your recent renovation, you say ‘Yes’ of course! 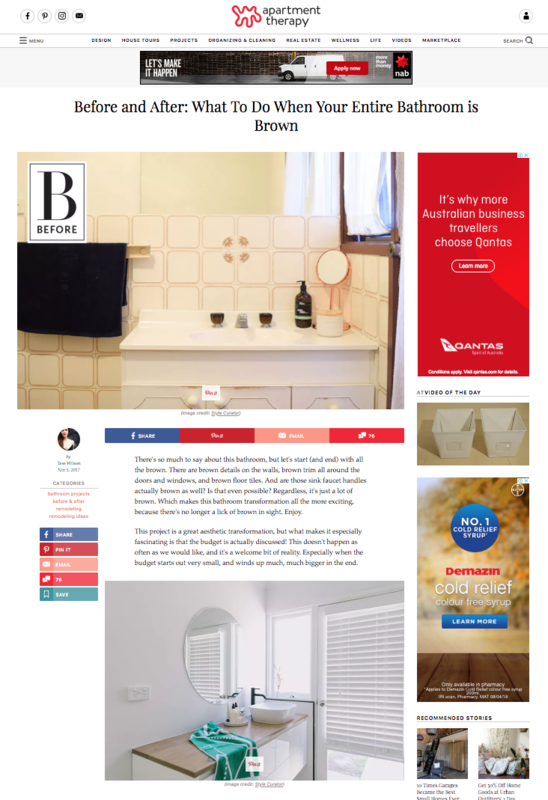 The before and after transformation of Bonnie’s bathroom featured on their site which reaches 20 million people each month. 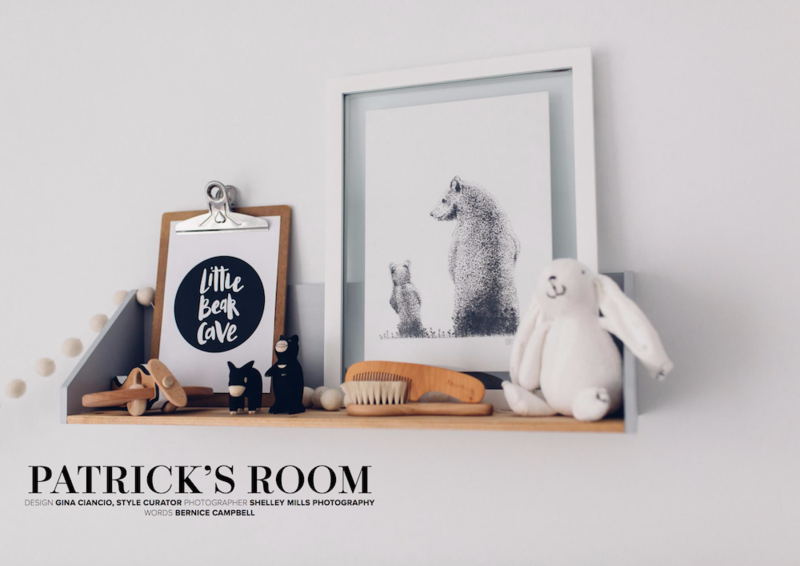 Shelf styling (or shelfie styling) is only gaining popularity and recently I had the fun of creating an eclectic, spring-inspired shelfie using pieces from Early Settler. 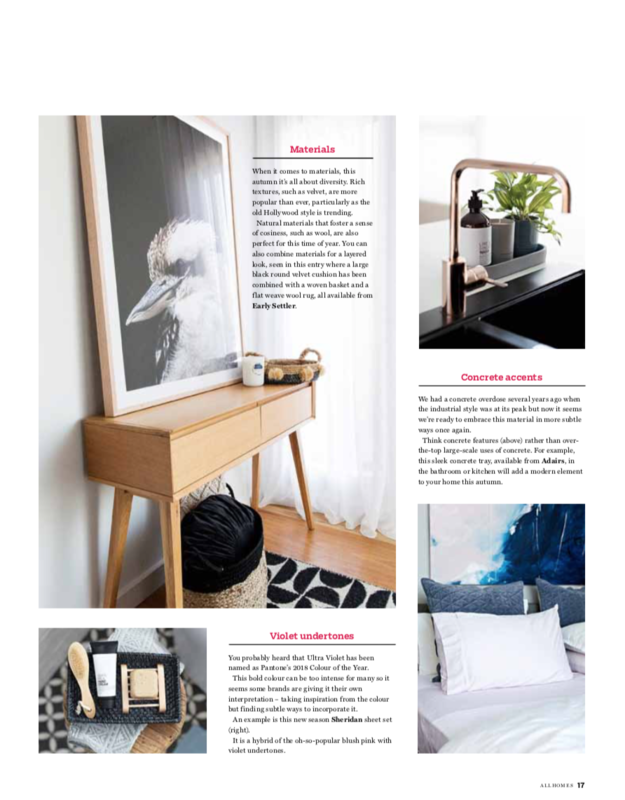 The styled bookshelf and my top shelf styling tips featured in Canberra Weekly. Canberra Weekly is read by over 95,000 people each week and is the largest glossy magazine in the region. 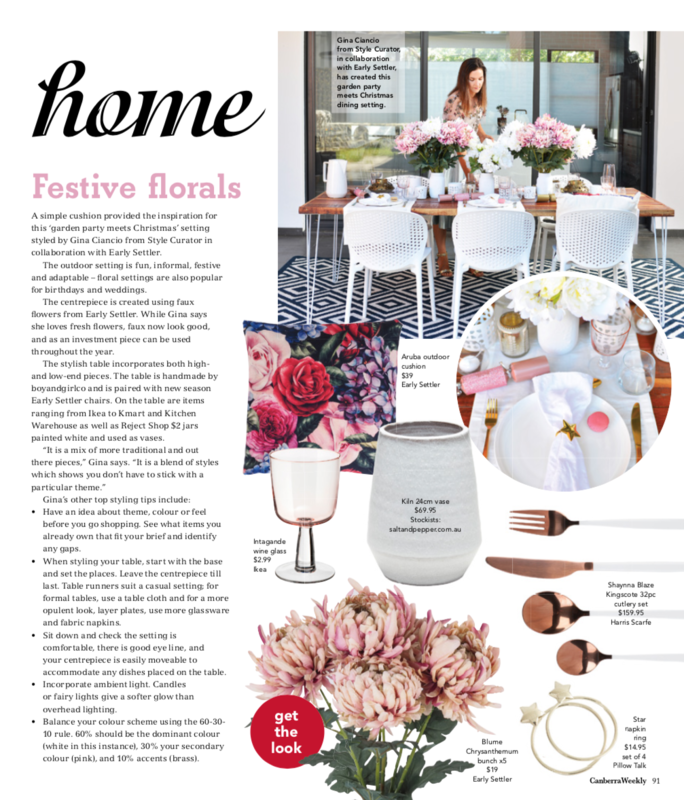 Another feature in Canberra Weekly was this festive floral table styling I did for Early Settler at Christmas. Table styling is one of my favourite things to do – especially when I can have fun and push the boundaries of a traditional setting. 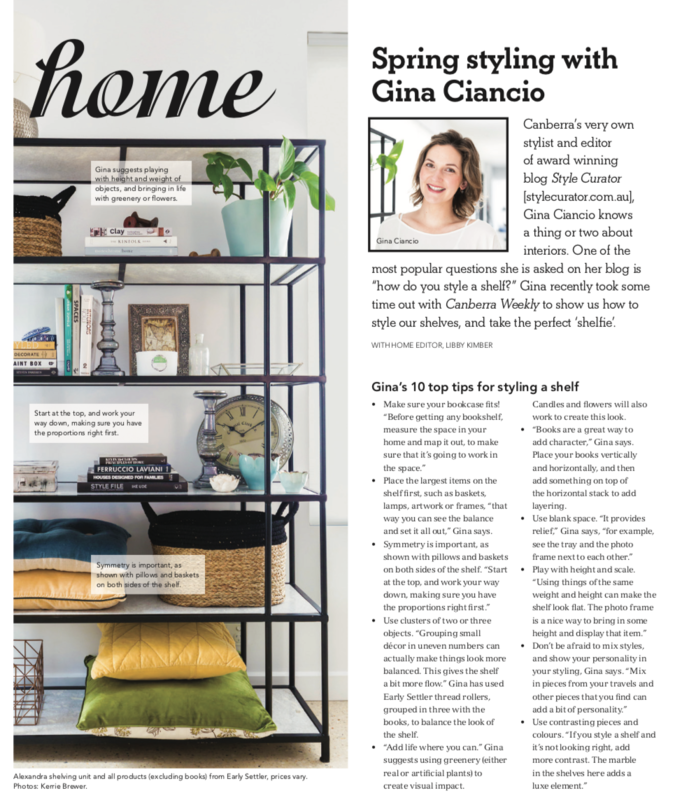 For my client Canberra Outlet Centre, I regularly create editorial features such as this one that appeared in All Homes, a magazine lift out in the Canberra Times. 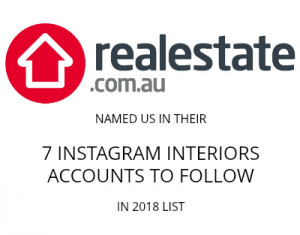 All Homes is a trusted source for real estate market news across metropolitan and regional areas, and lifestyle inspiration. 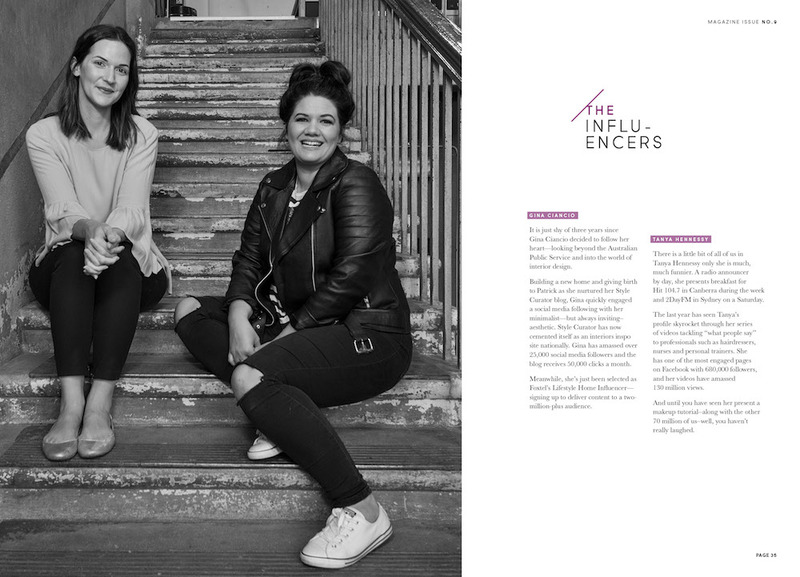 A personal feature that felt quite hard to own at first (given most of the women on this list are literally changing the world) was being named one of the ’17 Women to Watch in Canberra’. 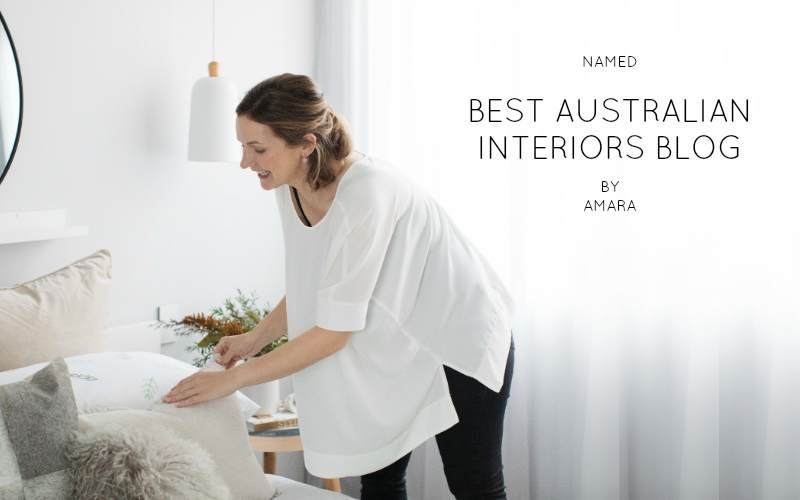 The support of the Canberra community and our shared love of interiors and design is something I’m so thankful for. Read more about these women to watch here. 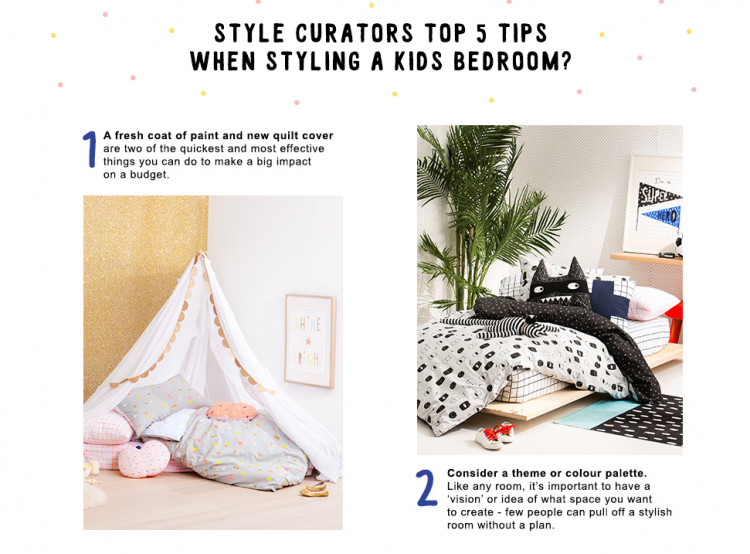 I always love sharing quick and inexpensive ways to style a space for maximum impact and over on the Cotton On blog, I was invited to share my top kids bedroom styling tips. 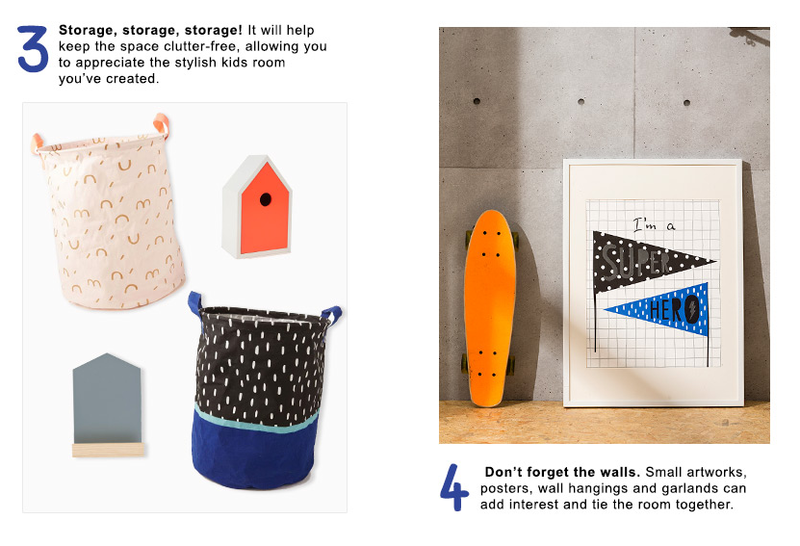 I’ll never forget my first magazine feature and the excitement of seeing one of my DIYs beautifully designed in print. 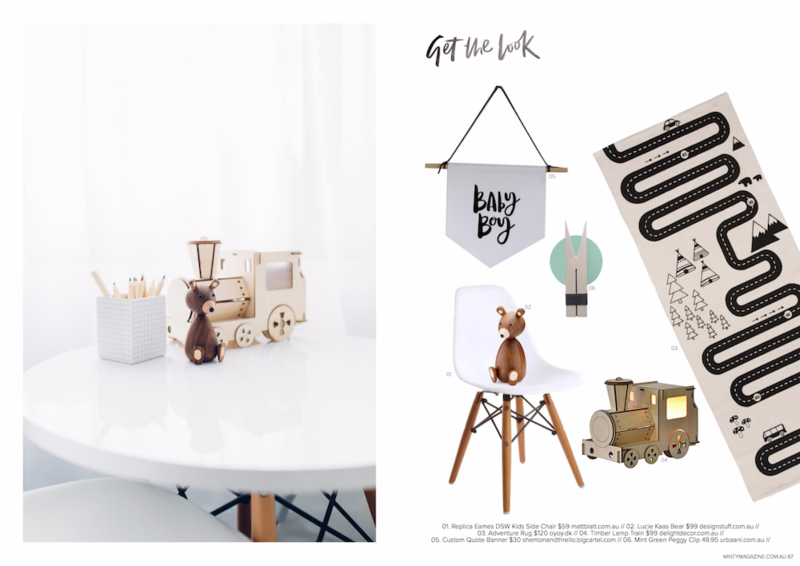 Although no longer in circulation, Winkelen Magazine was a great source of interior inspiration and DIY projects. 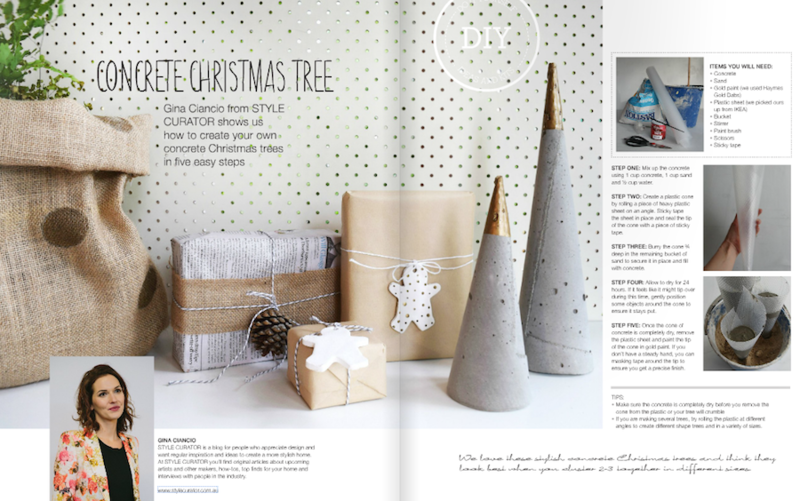 My concrete cone Christmas tree DIY featured in their 2014 Christmas issue.